Open enrollment can be a stressful time for all of us. But every year presents the opportunity for improvement. What do you wish had happened in last year’s enrollment? What do you hope to achieve this year? Here are some quick tips to implement in your open enrollment strategy to ensure that your employees get the most out of their benefits. Make a calendar to schedule how often you communicate with employees. Create a FAQ sheet for frequently asked enrollment questions and answers. Use social media as a way to connect with employees and their families. Put together a contact sheet for your insurance carriers with their phone numbers and website addresses. Provide a benefit plan comparison so employees can easily spot the differences. Make a “top 10” style list to inform employees about the top under-utilized benefits they’re missing out on. Use Skype as a way to meet with your remote workforce. Conduct an informal focus group to learn about your employees’ benefit preferences, and what does/doesn’t work for them during the enrollment process. Adopt a health and wellness program to encourage employees to get and stay healthy. Use a fun marketing campaign with a catchy theme. It will help keep each enrollment season fresh and different. The closer you get to open enrollment, the busier you get (we feel your pain)! It may seem difficult to switch gears now, but keep in mind you can always start implementing these ideas even after enrollment has ended. 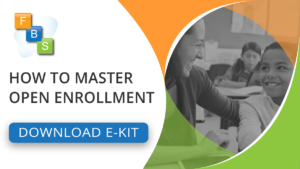 It might even give you a fresh perspective to know exactly how you want to tackle next year’s open enrollment. Start by picking 1 or 2 ideas that are easiest for you, and then make it a habit of constantly improving and evolving your benefits strategy year after year. As your benefits change, so should your approach to open enrollment!